It makes a lot of sense that every fascinating photo has a curious fact behind it! We like this kind of images, because you can always learn a new fact while having fun in your spare time. Some of the stories behind the photos may actually turn out to be strange or funny, but they are still the kind of information we never knew we needed to know. This is why we selected some interesting images with stories behind them. 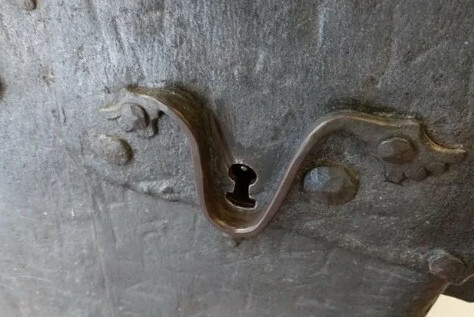 The easy to find keyhole on a 14th century door is a good example. You will surely love the list you are about to see! 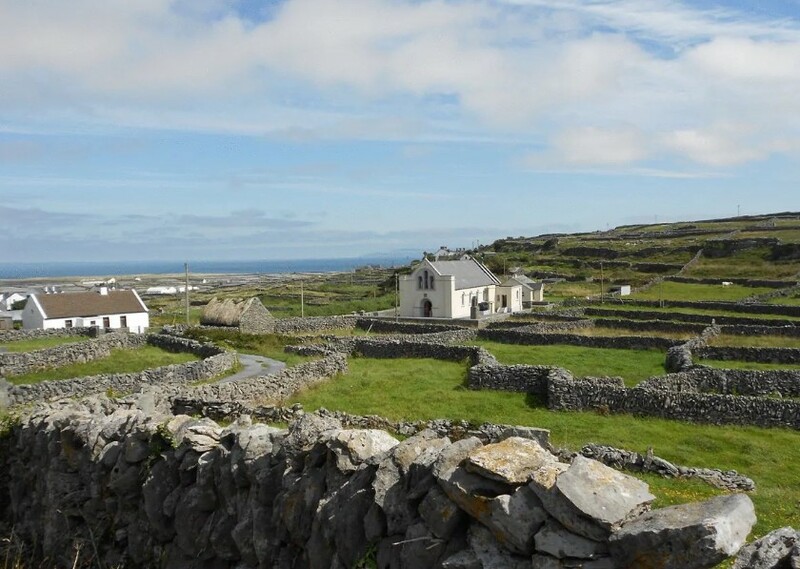 The three Aran Islands of Ireland are small pieces of land are only 18 square miles in total. They are very picturesque and have an interesting feature that is mind-blowing. You can see the dry rock walls in the photo above, right? Well, there are approximately 1,500 miles of similar stone fences across all three islands! Just imagine how much work these walls required! We have no idea why there are so many rock walls there. This is one magnificent view! Nature is really beautiful and it offers us a lot of beautiful things to see. But the mountains you are looking at here are not what they appear to be. 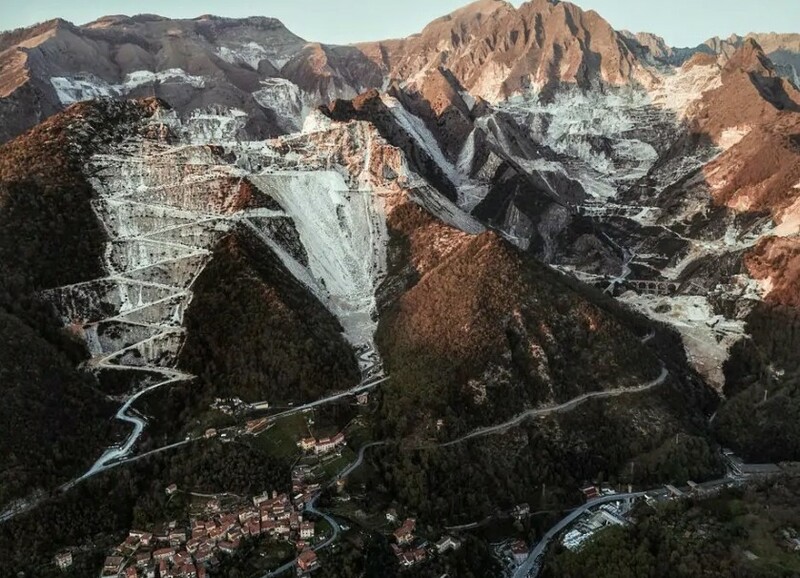 The photo shows these mountains which appear to be covered in snow and ice and also feature a road with a lot of turns. In fact, the photo shows some of the marble quarries in Italy! Working there is probably one of the toughest jobs ever! This amazing photo shows the day when NASA revealed to the world their first space shuttle called Enterprise. It happened back in 1976. The curious thing about the photo is the identity of the men in front. They are actually world famous. Yes, they are the Star Trek stars! NASA invited them to witness the historic event! 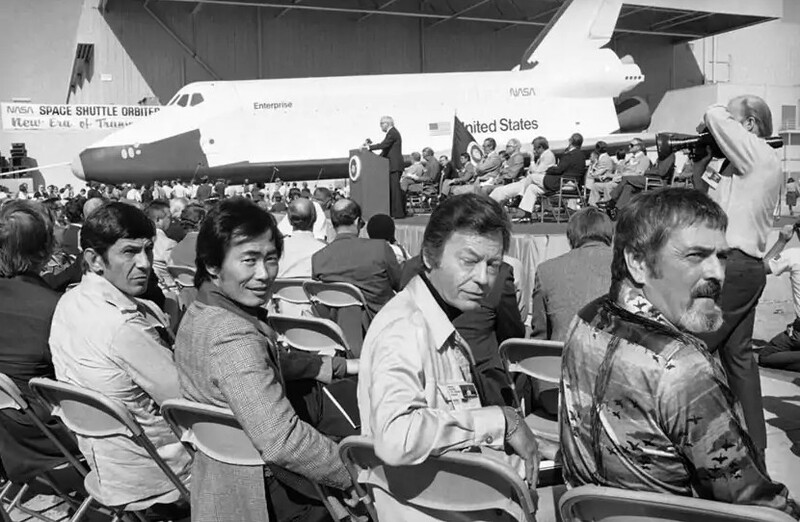 We believe that they were the most appropriate guests to invite to the unveiling of the Enterprise! Our planet is slowly becoming one huge dumpster and we have only ourselves to blame, of course! Nature cannot recycle all the garbage we produce. It seems that human kind is unable to preserve the planet. This photo proves it! This is not just any place on Earth. This is Mt. Everest! 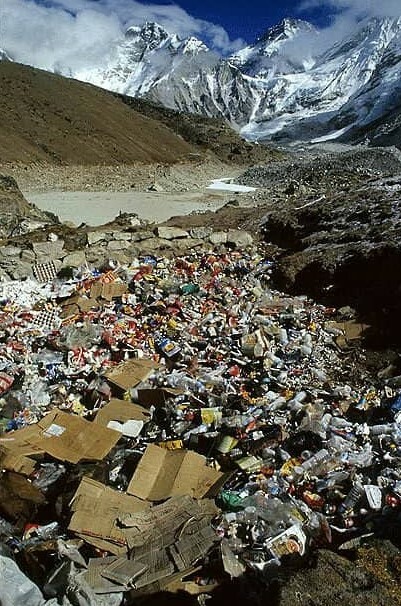 Instead of a preserved piece of nature, the area of the highest mountain in the world looks like a dumpster. This is extremely sad and we hope that things will change for the better. We guess that having a good view from the living room is one of the best features your home could have. Of course, sometimes the view can change dramatically and as you can see, someone experienced exactly that! This happened after Mt. 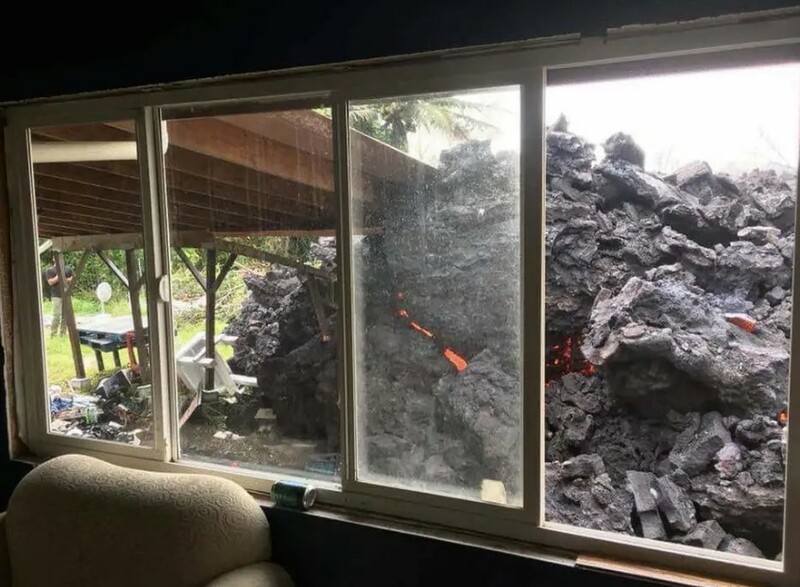 Kilauea in Hawaii erupted and thing happened really fast. Volcano eruptions are unstoppable and there is nothing we can do to prevent them. This homeowner was probably luckier than a lot of other people. It seems that Hawaii suffered one natural disaster after another. The Hawaiian Big Island was hit by severe weather conditions when it was hit by Hurricane Hector. As you can see the before and after photos, the storm was extremely powerful and it caused a lot of trouble to the island. The Rainbow Waterfall pictured here is unrecognizable after the hurricane showed its fury. The mesmerizing colors you see here were actually a problem for the institutions in Malaysia. 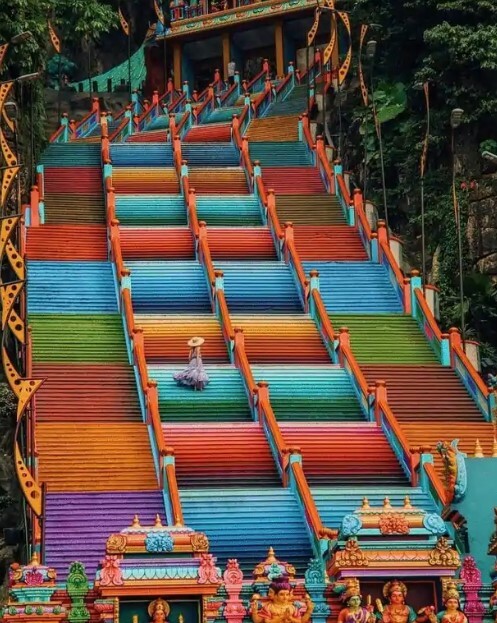 What you see here is the marvelous staircase of the Batu Caves, which is a popular Hindu holy site in Malaysia. The stewards of the facility decided to give the staircase a makeover, so they painted it. We think it looks really good and warm, but the heritage department disagreed. It turned out that the staircase was painted without the department’s permission. They even threatened to remove Batu Caves from their registry. The waterfront you see here looks like it was engulfed in a typical morning mist, but it is not. What actually happened is amazing and a bit terrifying, too. 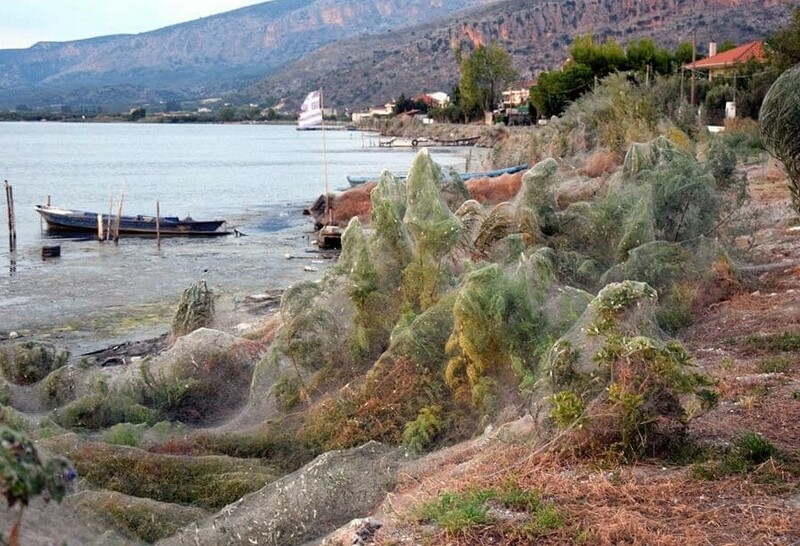 A huge spider colony created a network of spider webs which spanned across almost a thousand feet! It happened in Greece and we guess that the climate there made it possible. The waterfront landscape looks eerie, but it is also beautiful in its own kind of way. Hot air balloons are among the most beautiful things invented by mankind. They are so dreamy that once you see one or fly in it, you immediately feel like you are in a fairytale. The photo you see here looks like a moment from a Hollywood movie, but it is a real event! 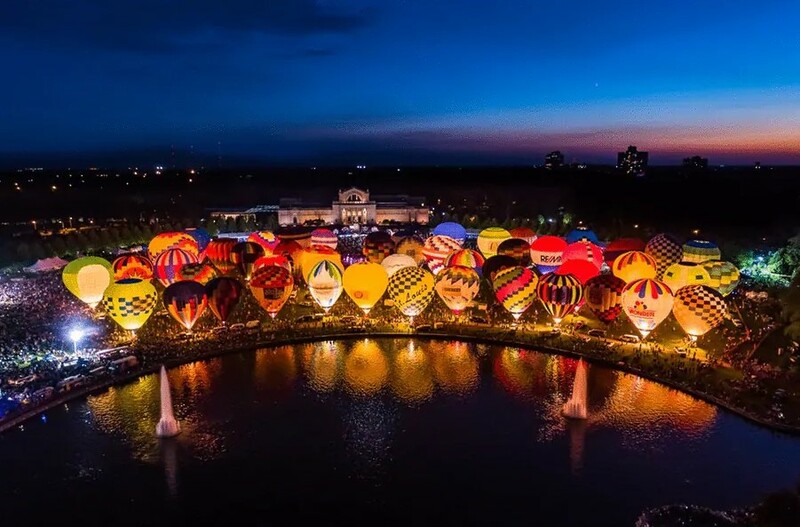 It is called the Great Forest Park Balloon Race and it takes place in St. Louis annually! It looks like a lot of fun and it can gather around 70 balloons! They look incredible at sundown and we would like to see them in person! This is one really sad image. It shows a building with completely shattered windows. 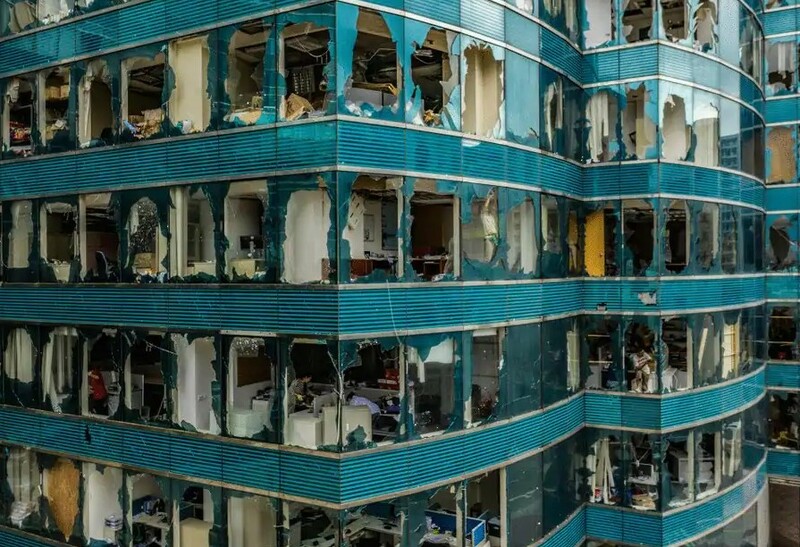 The damage happened when Typhoon Mangkhut hit Hong Kong with all its might! The disaster was extremely powerful with sustained winds of 107 miles per hour! In certain moments gusts of winds even reached 138 miles per hour, which is insane! The image you see here shows only one of the many damaged buildings around the city. The windows had no chance against the strong wind. This may not be as severe as a typhoon, but it is still a disaster! 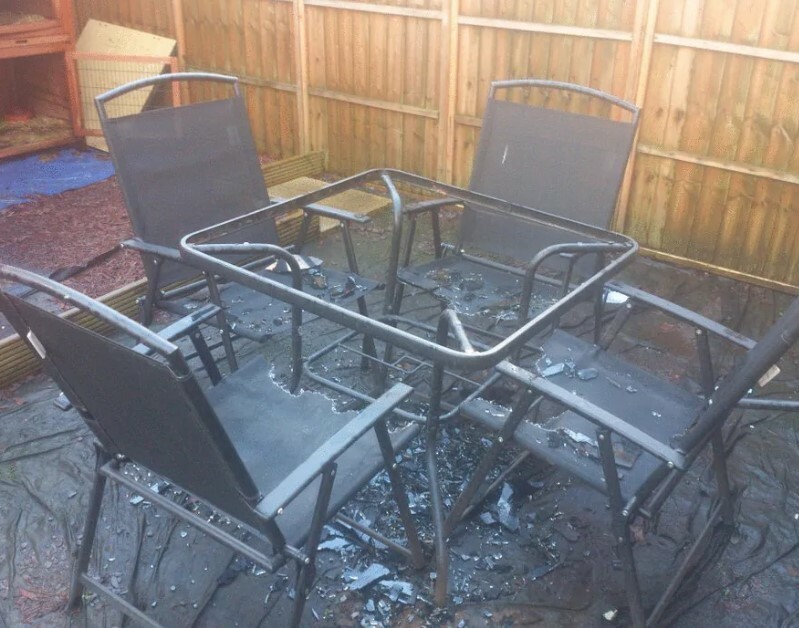 This patio furniture set was reduced to coal when a lightning strike hit someone’s backyard. The disturbing sight is definitely not something you would like to see in your yard for sure. Of course, the demolished skyscraper above suffered a lot more damage, but this is quite unpleasant, too. This is one really interesting image. It seems that someone takes perfectly good care of this former basin. The flower pattern in the middle resembles a small stream. It seems that it was designed to look this way, but it actually happened naturally. It turned out that the flowers can only thrive at the lowest parts of the basin where grass cannot. 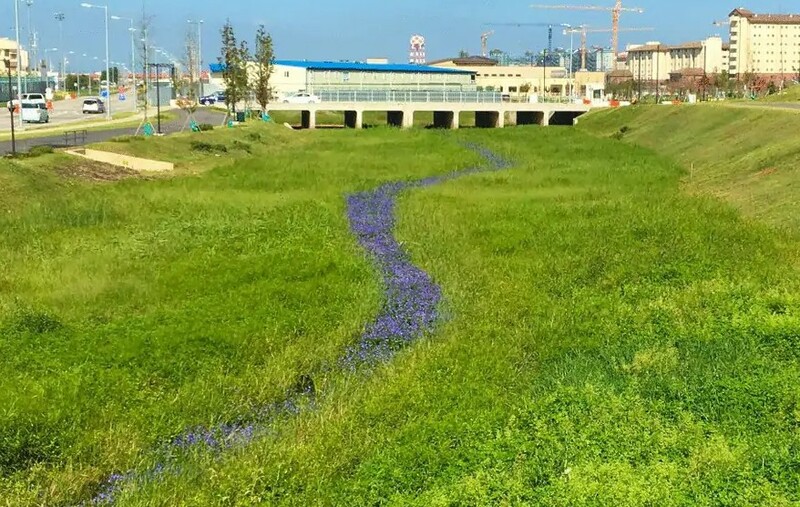 This is why the pattern you see formed and we simply love the contrast between the purple flowers and the green grass. 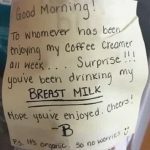 Well, we almost fell for this one. We were convinced that it was a frozen piece of a hedge or a tree branch, but it is not a plant at all. This is actually a result of the lead smelting process. 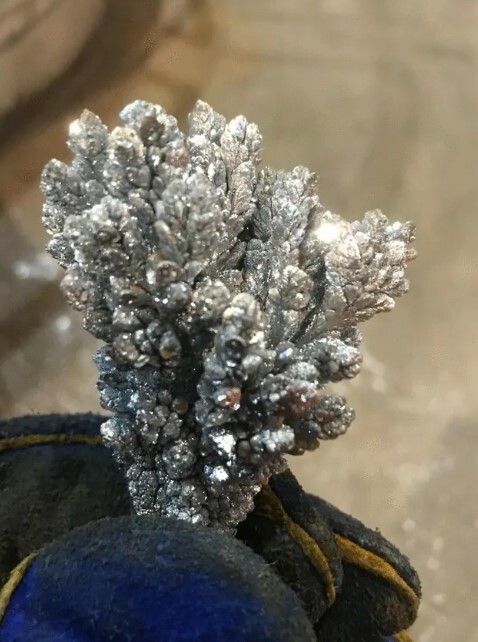 During the process the zinc formed this unusual shape after it was vacuum-separated. The end result looks like a fine sculpture and we are sure that it can easily pass as a piece of art. We guess that most people would believe that it was hand-sculpted. Personal style is important to the majority of people. 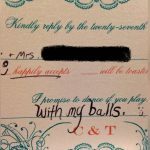 They like to take care about their appearance and even the smallest details matter. Of course, shoes are one of the main parts of everyone’s outfit. They need to be chosen wisely and a lot of factors need to be considered, like the color of the clothes you wear of the weather outside. In some cases people ignore those factors and simply choose the shoes that they want to make an impression with. 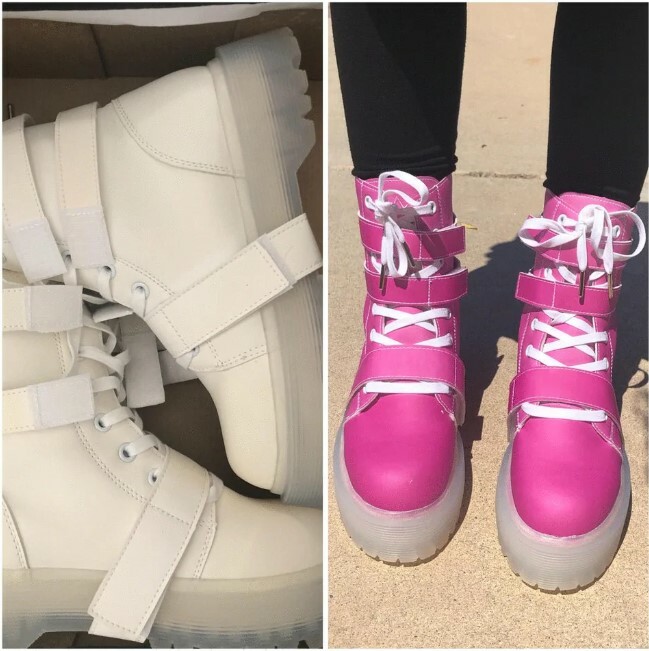 We guess that these shoes would be a nice choice! As you can see, they can change their color when sunlight hits them! They look like nothing we have seen before and we would like to try them out just to see how it feels. Chances are that you have probably seen a Concord plane. Maybe you have even been on one, who knows? However, the Pepsi-themed Concord is something that not many people have seen. 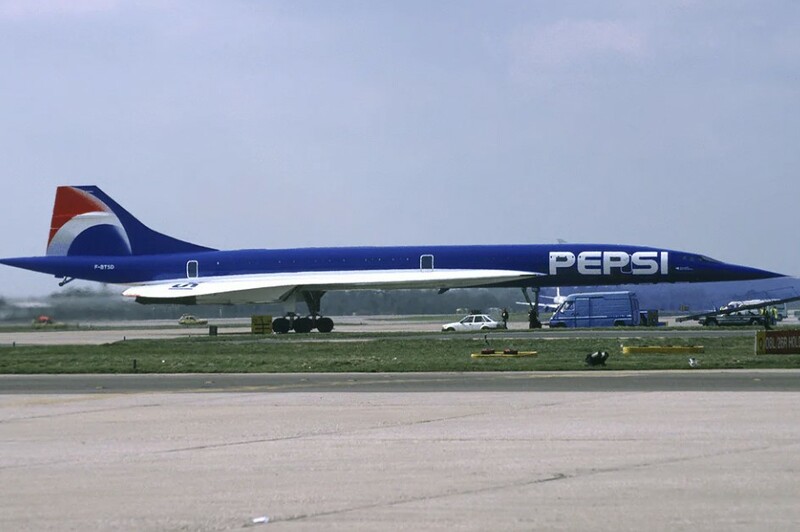 Air France agreed to paint one of their planes in the Pepsi colors back in 1996. This was a bit of a technical problem for the plane, because it couldn’t maintain a Mach 2 speed for more than twenty minutes. But this marketing stunt was not even close to the other one Pepsi did in the same period. They actually sent a giant inflatable Pepsi can to Mir space station, which was supposed to be a part of a commercial video. Unfortunately the whole effort was for nothing, because the ad never aired.